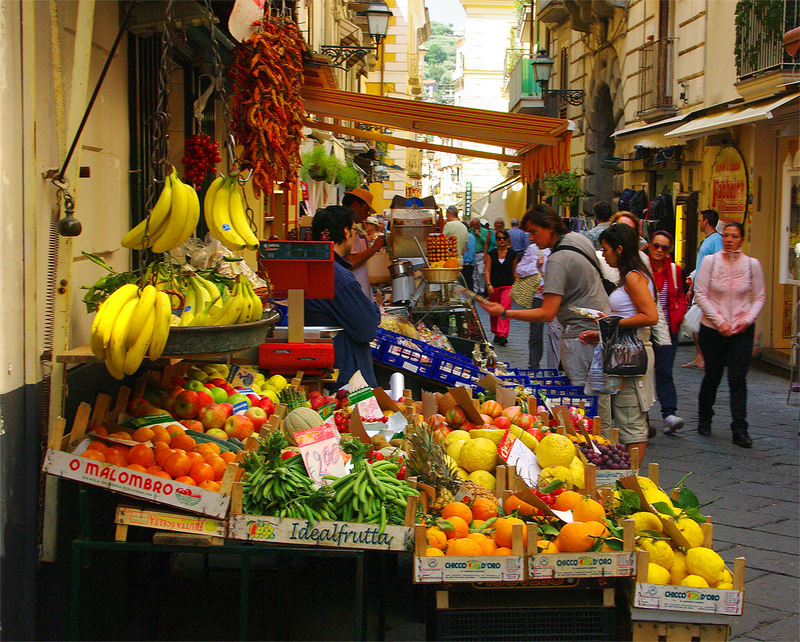 The down town area of Sorrento is the old part of town made up of narrow winding alleys and streets just wide enough for a small, thin car. Cruise ships stop off in the port so the shops and markets in the down town area are always crowded and hectic. Cheap leather goods, inlaid timber products and all sorts of fresh food are available. There are bars and cafes everywhere and competition for patronage is fierce. 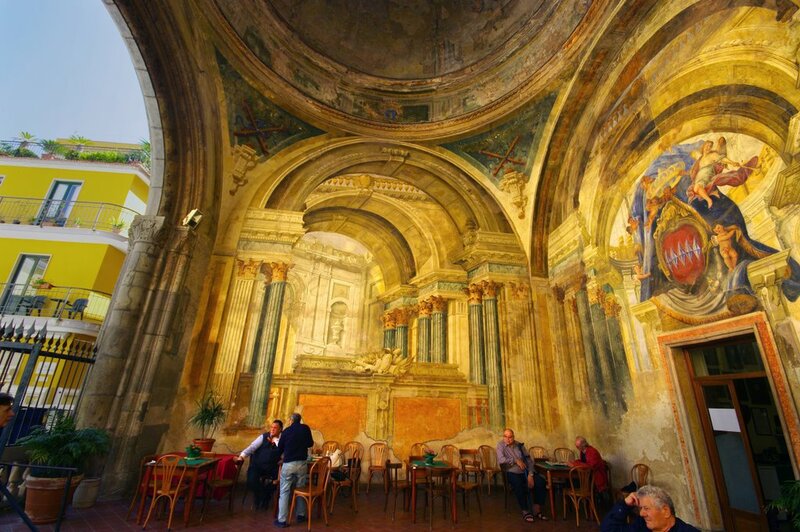 There are three cafes within a hundred meters of one another all offering the best Cappuccino in the world. 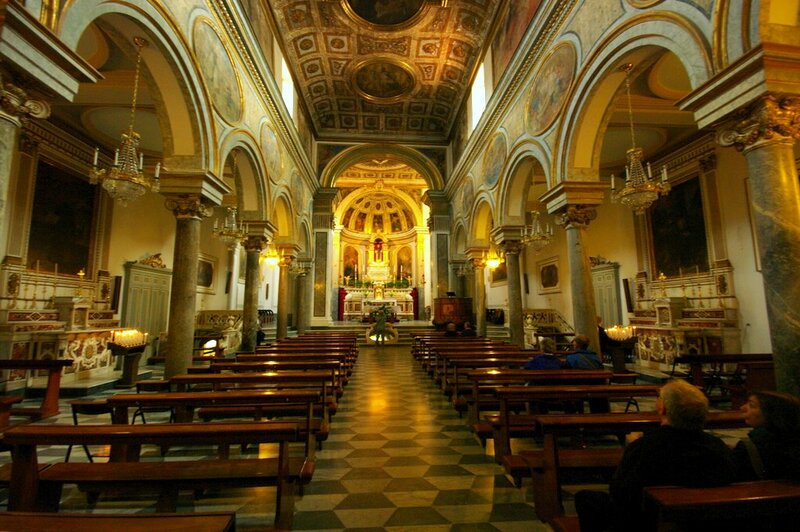 When space is lacking to build great, sprawling cathedrals, the Italians have perfected the optical illusion of constructing a small room and painting it to appear cavernous and spectacular. Not all shopping is done in the down town markets. 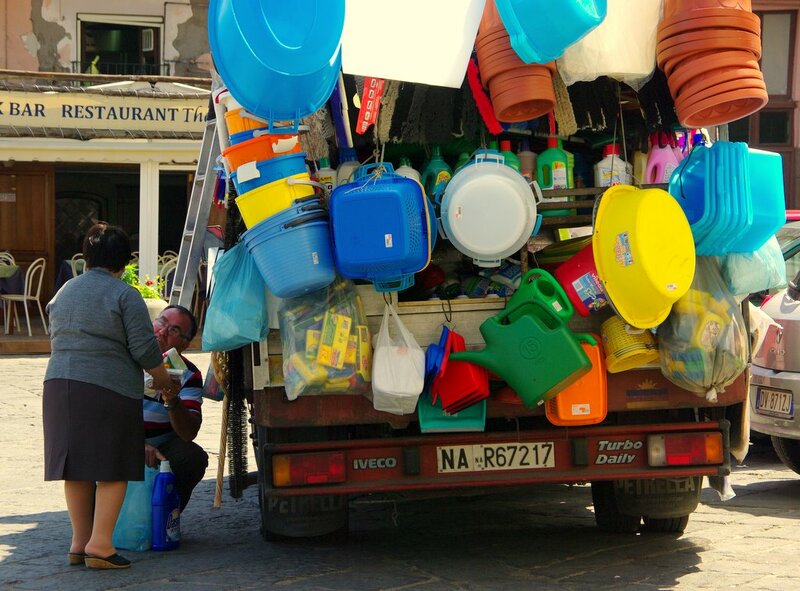 This guy has a truck loaded with bargains. Anything you could possibly want so long as its made out of plastic. 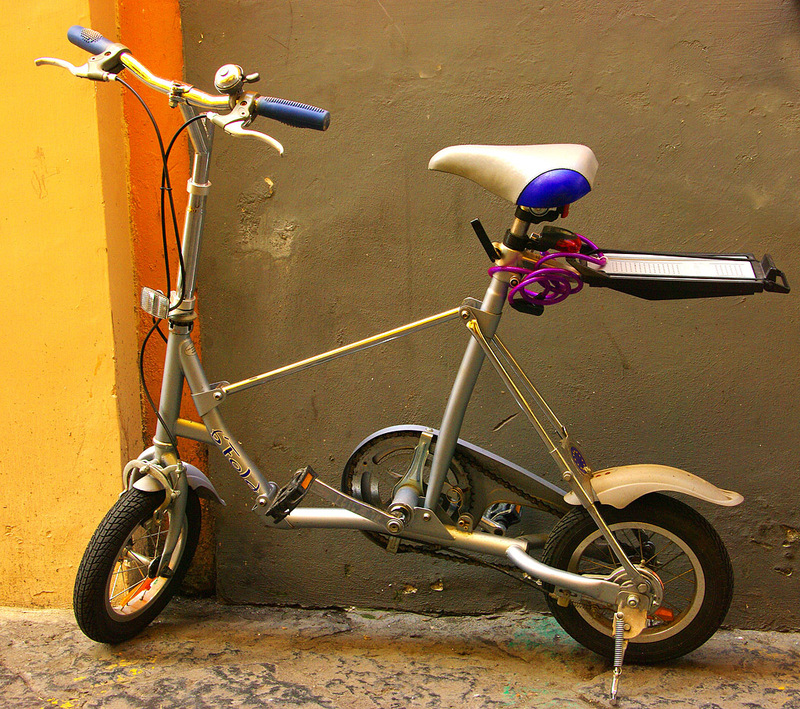 Small motor scooters are the preferred mode of transport for most of the population of Sorrento. Parking them under religious icons guarantees safety no matter where or how fast they are driven – even while texting, smoking a cigarette or carrying a case of wine. 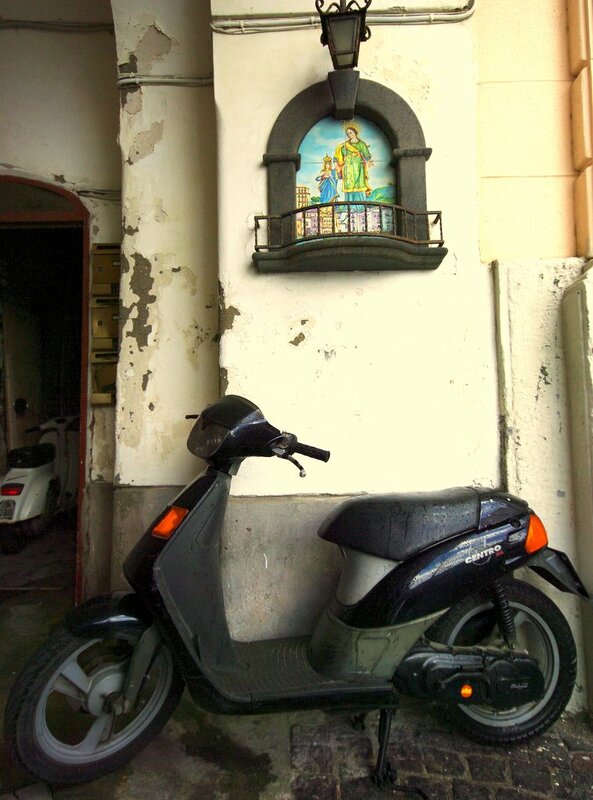 Folks without access to religious icons opt for a safer means of transport. Even the police choose to live dangerously, cutting through hoards of suicidal commuters on these uncontrollable wheeled pogo sticks. 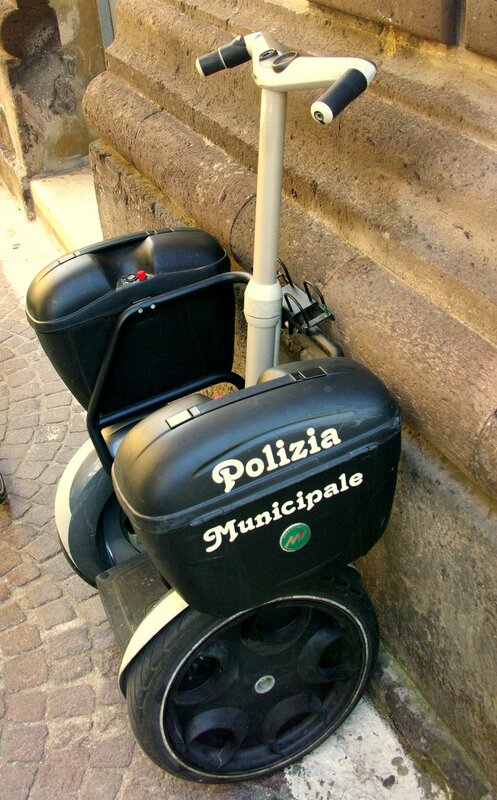 It says a lot for Italian optimism – How do you pull over a speeding Ferrari on one of these things? Not everyone succumbs to the adrenalin rush of all day peak hour madness. 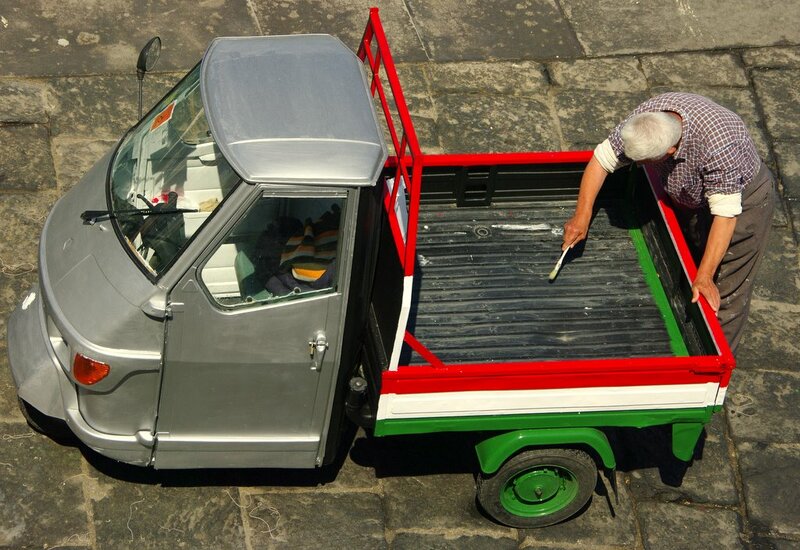 These incredibly underpowered, three wheeled Piaggios are favored by many of the elderly Italians with a need to move a very small amount of stuff around very slowly at maximum decibels. 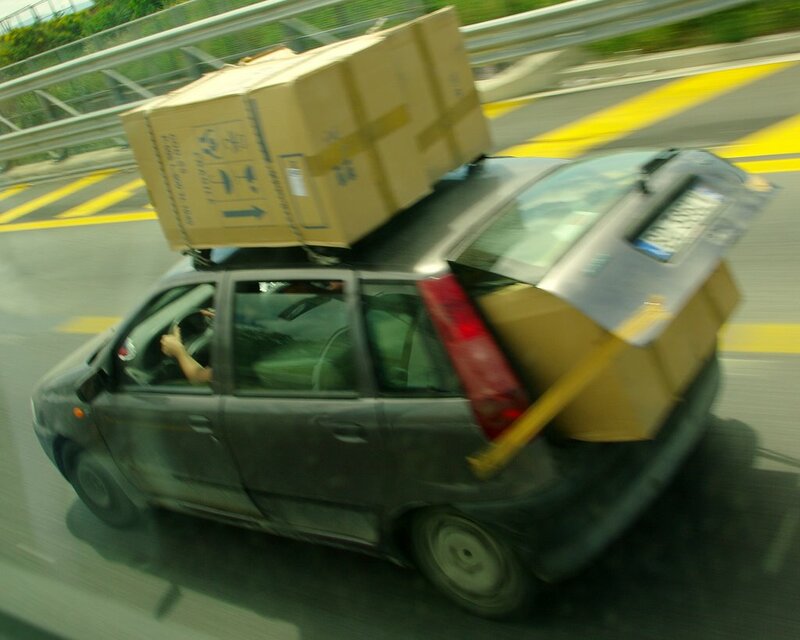 Of course, if you have a large amount of stuff to move around, then you go for a big car. 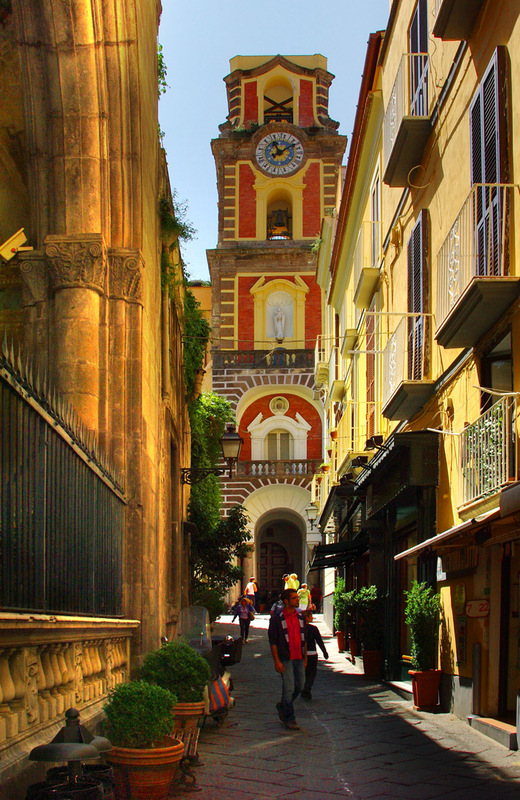 This entry was posted in Architecture, Italy, Sorrento, Travel, Vehicle and tagged bike, cars, church, motor scooter, segway, shops, Sorrento by splashingpaint. Bookmark the permalink. Nice photos. I was trying to find same things I saw whwn I was there on vacation in 2008. Thanks for sharing your art and travels! I especially enjoy your demos, finding them very inspiring. 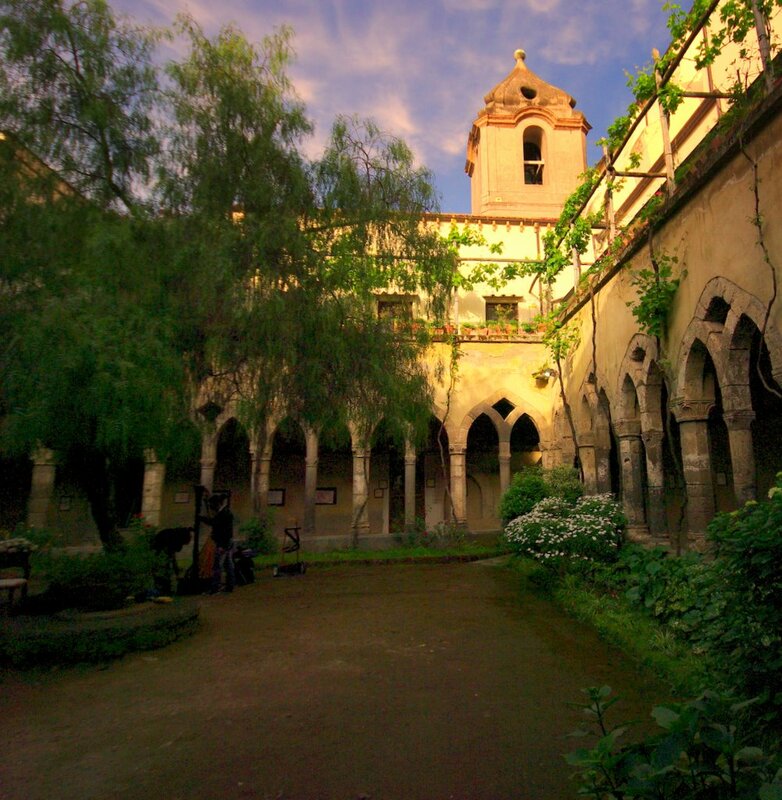 What a treat to follow you on your art travels to Italy, via the Internet! Thanks for your comments and glad you are enjoying the demos and tales of our travels. Wonderful! I have been visiting sorrento for the past 24 years..it’s like my second home..will be back in 4 weeks time..so excited to see all my dear friends again! 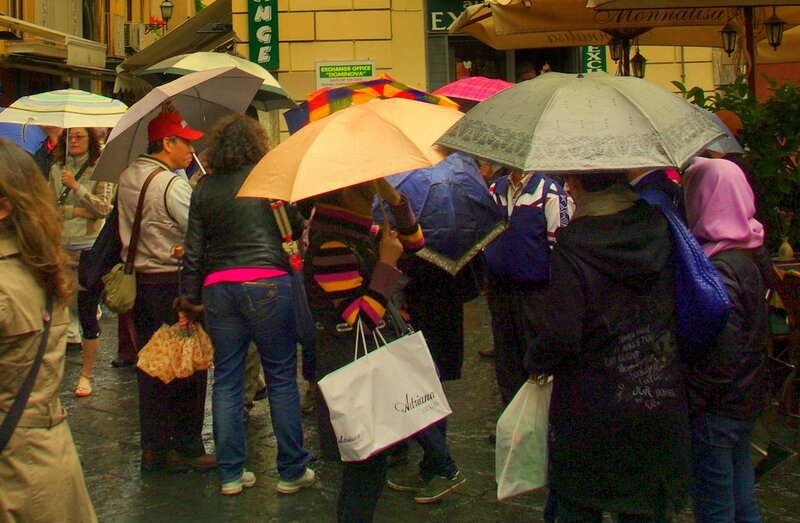 Enjoy your visit to Sorrento. The weather should be perfect in 4 weeks time – nights are still a little cool at the moment. It really is a beautiful town.